In 2009, Colorado implemented new, more rigorous academic standards to ensure all Colorado students are prepared for college and career success. The Colorado Academic Standards set clear, consistent guidelines for what students should know and be able to do at each grade level across 10 subject areas, including English language arts (ELA), math, science and social studies. The higher standards were designed by educators and researchers, with significant input from higher education and workforce leaders, to help students prepare for life after high school. Prior to the adoption of the standards, too many students in Colorado had been graduating from high school without the problem-solving and critical-thinking skills they need to succeed in college and in the workforce. These new standards were designed to change that. To accurately measure students’ mastery of these skills, Colorado adopted new assessments that align with the Colorado Academic Standards. 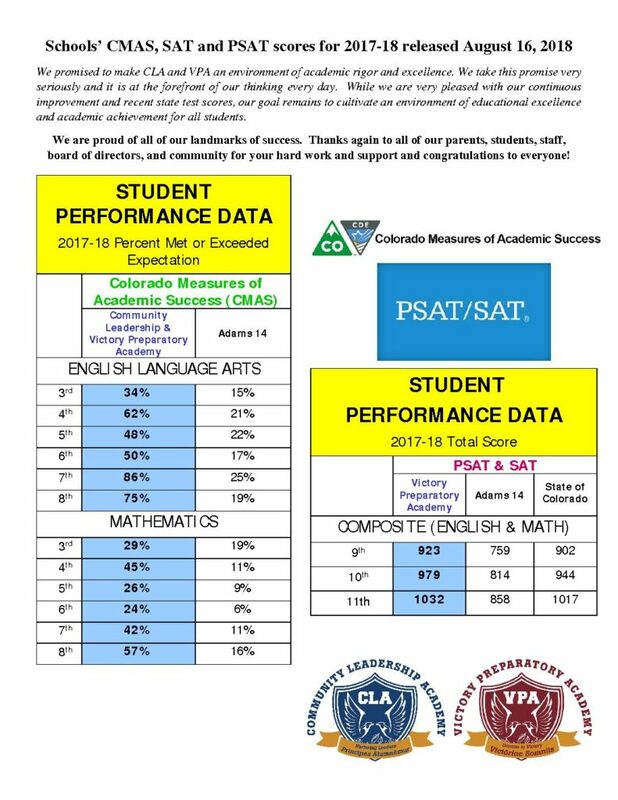 Colorado Measures of Academic Success (CMAS) are the state’s common measurement of students’ progress at the end of the school year in English language arts, math, science and social studies. Designed to be administered online, the tests feature a variety of interactive questions that are more engaging and aligned with 21st century teaching and learning practices. With the new standards-aligned assessments, educators and parents will know how their students are performing and growing over time, and how they compare to their peers across the district and the state. In the case of the English language arts and math tests, students and parents will also be able to compare performance with students around the country.